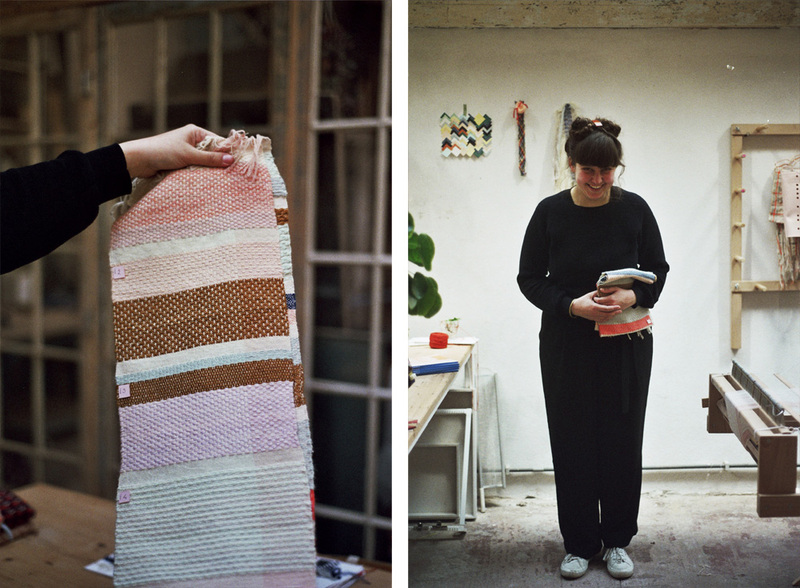 Hermine Van Dijck is a passionate textile designer based in Antwerp, Belgium. 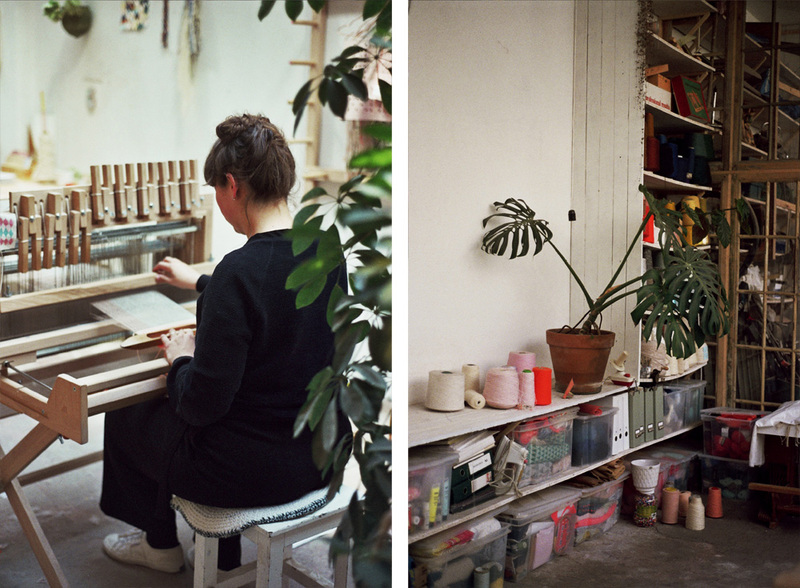 After finishing a Masters in Textile Design and an internship in Paris weaving for high-fashion labels like Chanel, Hermine returned to her home country and started her own studio in the Belgian city, creating high quality fashion and interior design products. Please tell us a little about yourself and your background. I was born in a little village close to Antwerp in 1989. I grew up in a very normal family, and had an amazing and joyful childhood. My parents always supported our ideas and stimulated us to do what we liked. When I turned 18 I attended art school to become a textile designer. I learned about different textile techniques but I immediately fell in love with weaving. After 5 years I graduated with a Masters Degree in Textile Design, but that wasn’t enough. 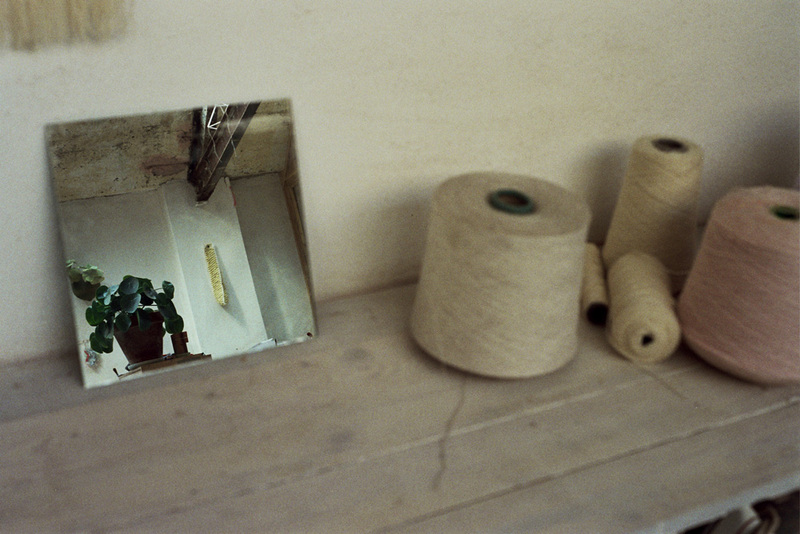 I went to Paris to do an internship at a famous weaving company. There, I wove fabrics for Chanel and other high-end fashion companies. It was a very interesting phase, but it also became very clear to me that I wanted to make my own collections and work. 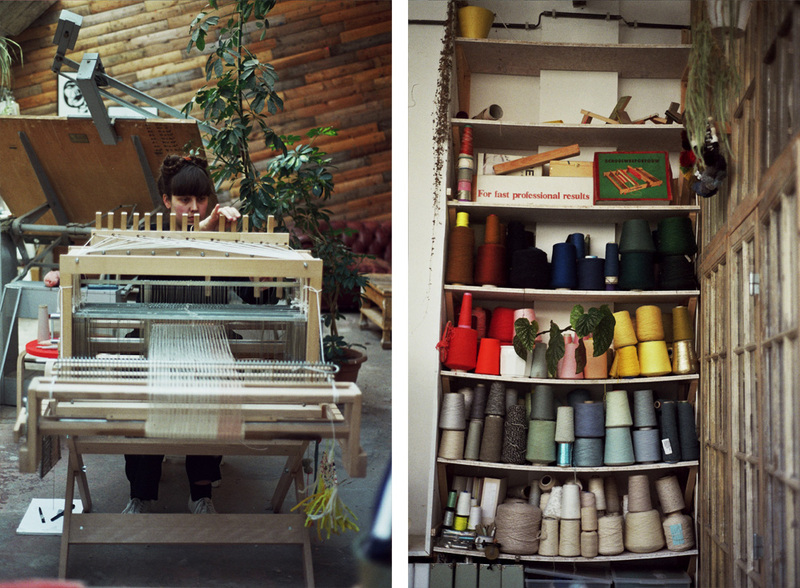 That’s how I ended up back in Belgium, where I started my own weaving studio in Antwerp. Since then, I’ve been looking for the perfect balance between my own work and working for other people. I’m still developing my own brand, but I’m hoping to launch a new collection soon. How did you become interested in textile design? I’ve always known that I wanted to create things, but it took me a while to discover which technique to use to express my own creative feelings. When I was a teenager I loved making collages and drawings, however, I wasn’t that good at it. I couldn’t find anything I was interested in when I was looking for an art high school – not drawing, painting, free art or fashion. When I found the Textile Design department, it was love at first sight. Textile design has some kind of mystery – it was an unknown and very attractive field to me. 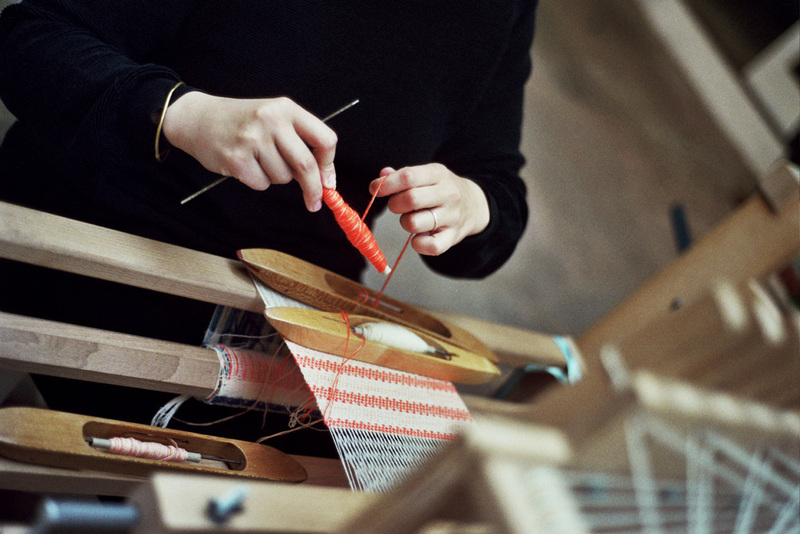 I think I became more interested in textile design when I saw a weaving loom for the first time – I was intrigued about learning about this technique and this feeling has never gone away. I have a constant hunger to learn new things, new weaving techniques, working with new looms, new yarns – an unstoppable interest. 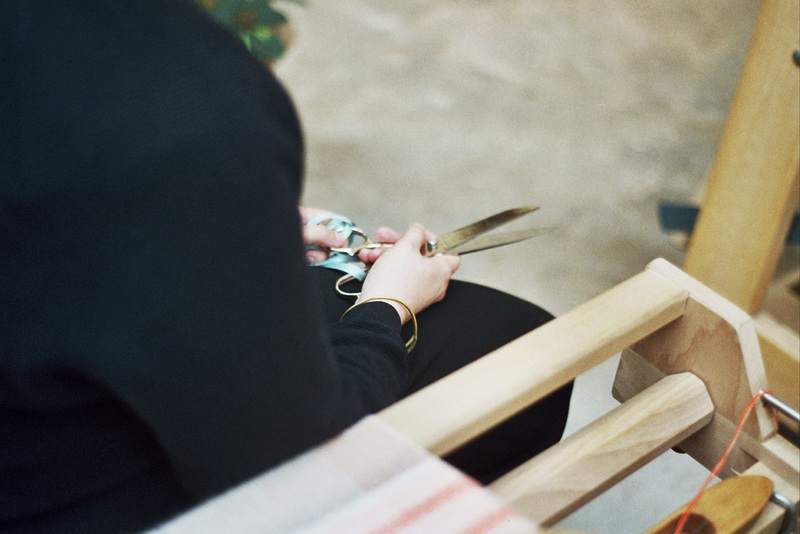 Your preferred working technique is weaving. What made you attracted to this process? I think it’s mostly the complexity of weaving what attracts me to it. 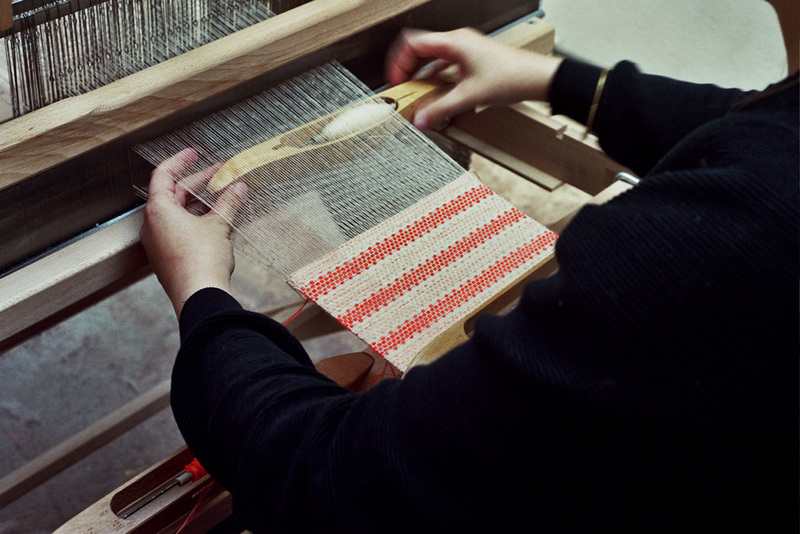 At first, I couldn’t understand how a wooden machine could make really fragile fabrics. I still feel very lucky that I had a fantastic weaving teacher who taught me the basics of weaving. She injected me with her weaving virus! My 65 year-old weaving teacher once told me that she still learns new weaving techniques every day and that one life isn’t enough to completely understand weaving. It’s very appealing to know that I will never get bored of this technique and that weaving is a never-ending learning process. The magic about weaving is that there are a lot different components that influence the process: the colours, the yarn, the pattern, the calculations…Every little detail can change the resulting fabric completely. This makes this technique also very personal. 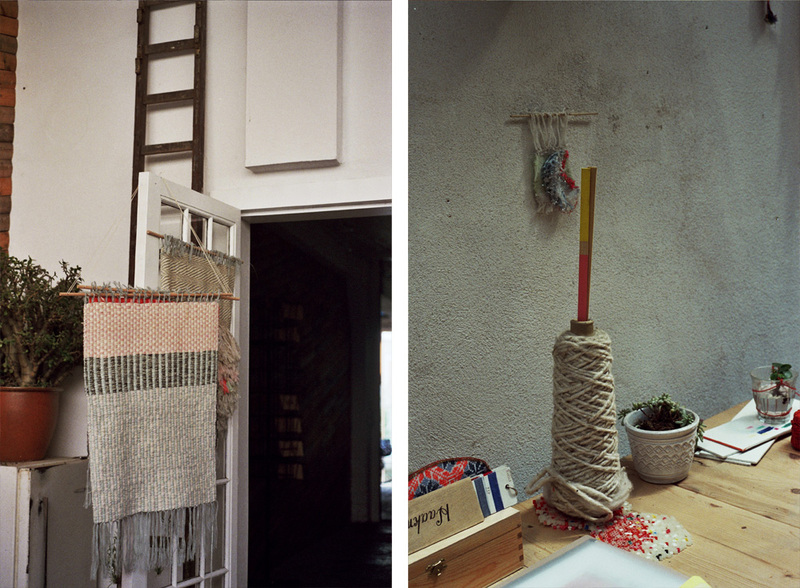 The fact that weaving has a maths element is interesting for me as well – it’s the merge between technique and creativity to create a certain image or atmosphere. Another important aspect about weaving that I like a lot is the slowness. Preparing a weaving loom can sometimes take days, and weaving a piece is a very slow process which requires a lot of patience. 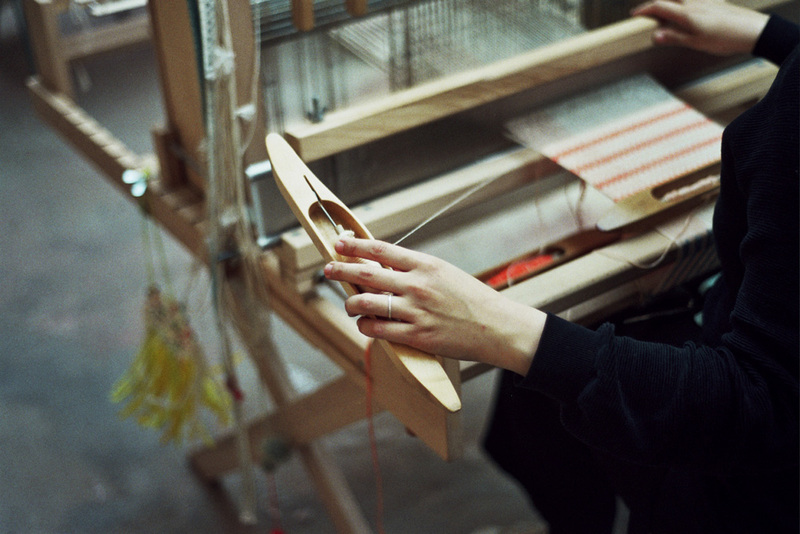 I often compare weaving to a kind of trance – you have to be completely into it in order to make it work. Total surrender and concentration. 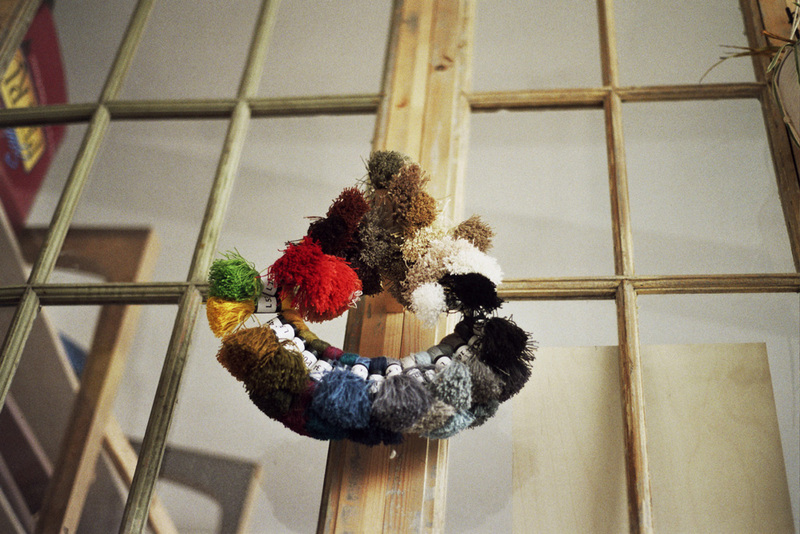 All your work is handmade using weaving looms and other tools. Please tell us a little more about the equipment you use. 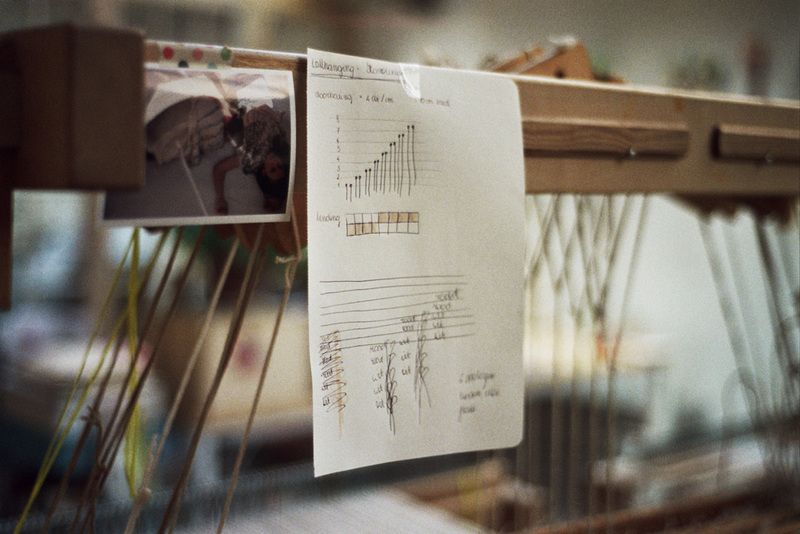 I have several weaving looms and weaving frames in my workspace. 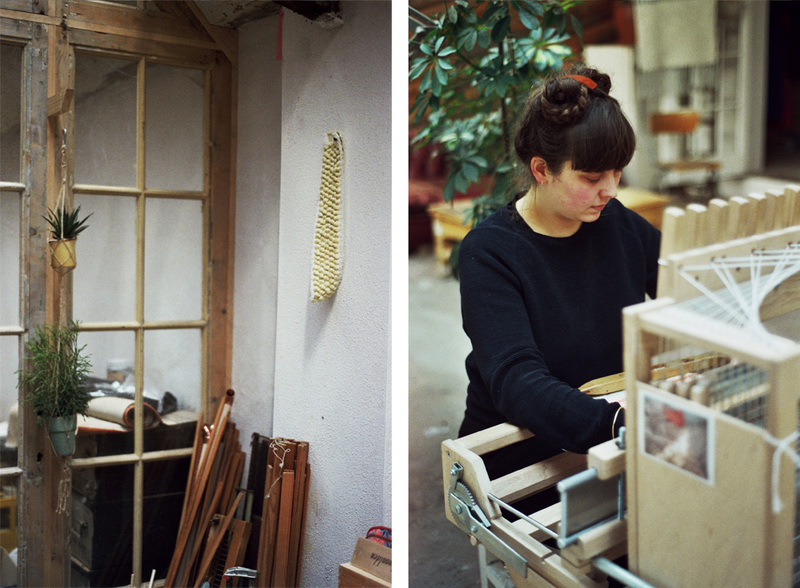 Most of the time I use my little wooden weaving loom, which is made by a woodworker in Antwerp. It’s rather small but perfect for experimenting. My other loom is a bit bigger and works with pedals to move the shafts of the loom. 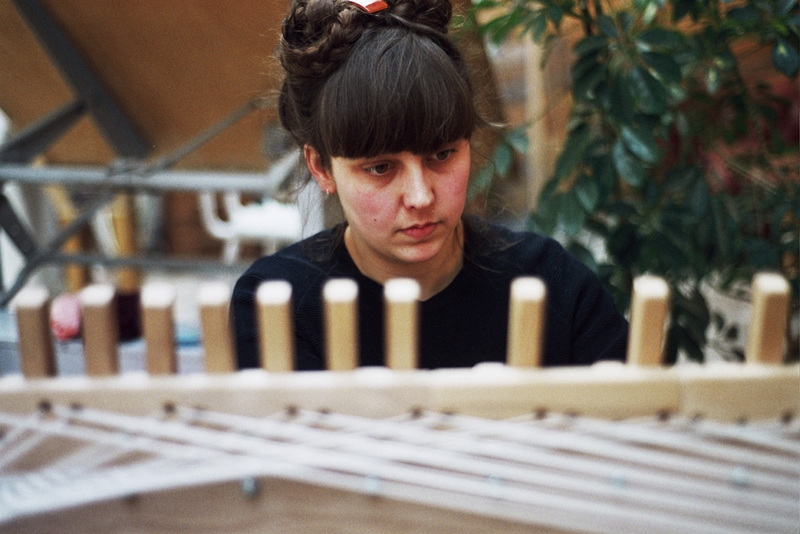 I bought this loom from a textile school in the Netherlands. The loom was made in Finland and is some decades old. I use this loom to make bigger pieces and little collections, such as the cushion collection that I recently made or the woven wall hangings. I also have a large collection of yarns, which I have collected over a long time period. Sometimes I buy yarns, sometimes people give yarns to me, I also got some from my internship….It’s a collection that has grown over the past few years. I also have a lot of research materials like colourful papers, little samples, beautiful textiles, books, etc. You work both in fashion and interior design. What are the main differences between these fields from a textile designer perspective? When I was at school, I worked both on fashion and interior design projects and during my internship in Paris I worked in the high-end fashion industry. I’ve realised that I prefer working in interior design. 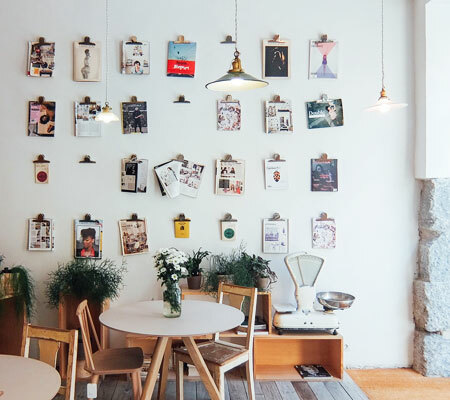 The main reason is that trends change slower in interior design than in fashion, and products for your house often have a longer life cycle than clothes. There are also some technical differences between fabrics for fashion and interior design that you need to keep in mind before you start weaving. For example, when weaving a cushion, you have to make a solid fabric. Or for a summer dress, it’s best to weave a light fabric. The function will influence the choice of yarns. What process do you follow when you design a new piece? 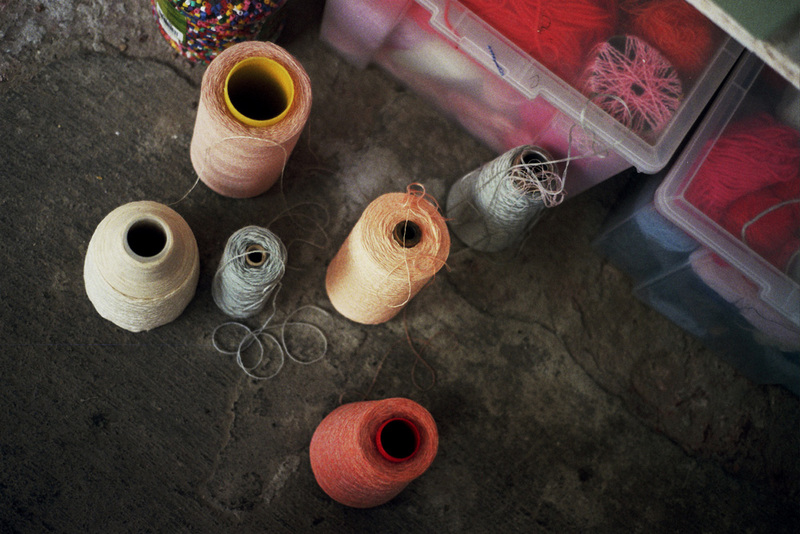 How does an idea in your head transform into a textile or a product? I mostly start with a moodboard, where I work around a certain theme. I search for pictures that have nice colours, objects with lovely textures, images with great atmospheres…This research is the start of a collection. After some research time, I have to stop myself from doing more research because it can be a never-ending process and sometimes it can also be confusing seeing other people’s images and work. After the research phase is over, I start working on a gut feeling and I try not to think too much. It usually comes together very naturally, although I also have my bad days like any other designer. I always start making samples, very impulsively, using different techniques like knitting, drawing, photography, weaving, silk screening, tufting, embroidering…These samples will be the beginning of a new collection – they’re like the first words of a story. After a little time playing with the samples, I try to put everything together in order to make bigger pieces, which can then become a product. I can immediately see that they weren’t good quality yarns. It is of great importance to me to use high quality materials now, because they can tell a bigger and more beautiful story. Are there any textile techniques you haven’t explored yet but would like to experiment with in the future? 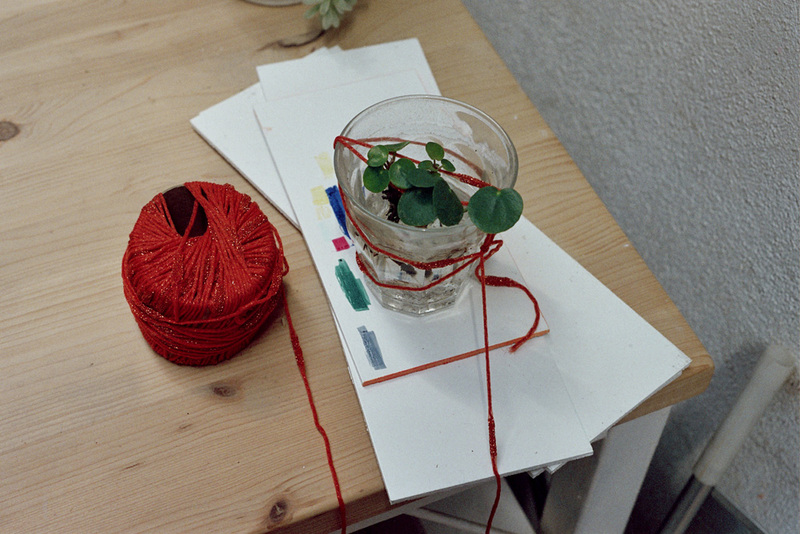 At art school I learned several textile techniques like silk screening, knitting, embroidery and pattern design. I experimented with all of these techniques, but I ended up sticking to weaving. Something I would like to experiment with is dying my own yarns. I think it could be interesting coluoring yarns with natural components like flowers and leaves, which can make the colours a little inconceivable and imperfect. I might test it soon. From all your past work, is there a particular piece or project you’re especially proud of? I think the project I’m the proudest of is my ‘Blossom Collection’. It’s a collection I made for my graduation project in 2012 composed of blossom plaids, blossom rugs, blossom samples and a blossom book. It’s the most complete research I’ve ever done. Despite the fact that the collection is already 3 years old, I’ve never got bored of it and I’m still very proud of what I designed. Where do you draw inspiration from? Who are some of your favourite designers? – Japanese fashion brand Mina Perhonen. They design amazing textiles and their silhouettes are timeless. That’s the main idea behind the brand, fighting against the volatility of the fashion industry. They want to make long-term fashion that can stand out for years, not to say decades. 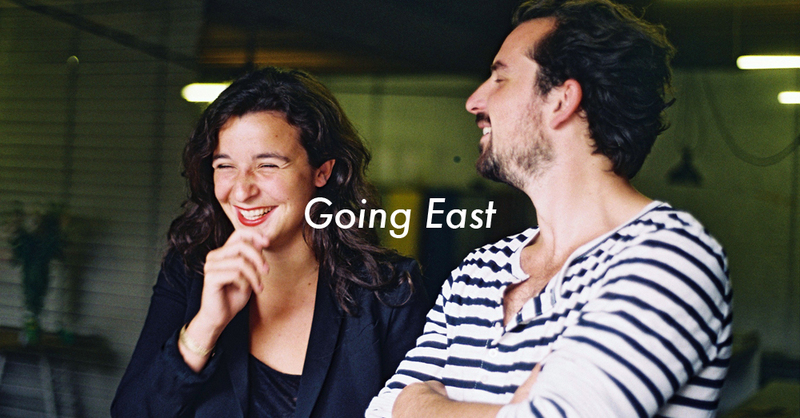 – Belgian designer couple Muller-Van Seeveren. Their designs are outstanding and the materials, shapes and colours they use are very inspiring! – Anni Albers, a great Bauhaus textile designer. Her works are decades old but they stay very modern. She was a visionary weaver and a big inspiration for a lot of weavers. – Ruth Van Haren-Noman’s paintings. 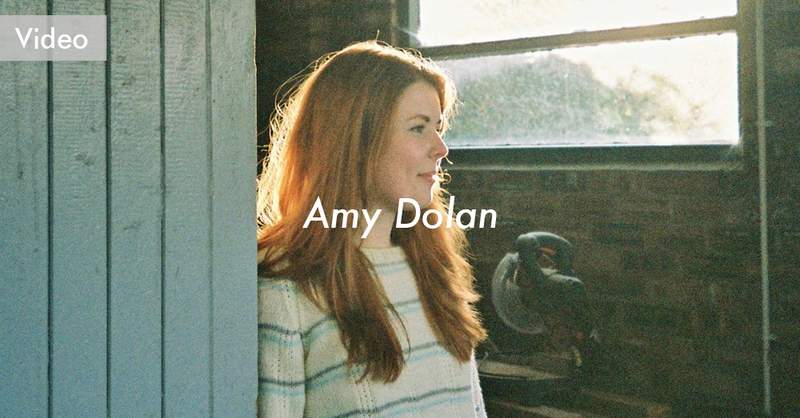 She’s a Belgian artist who plays with colors in her work. Very refreshing. 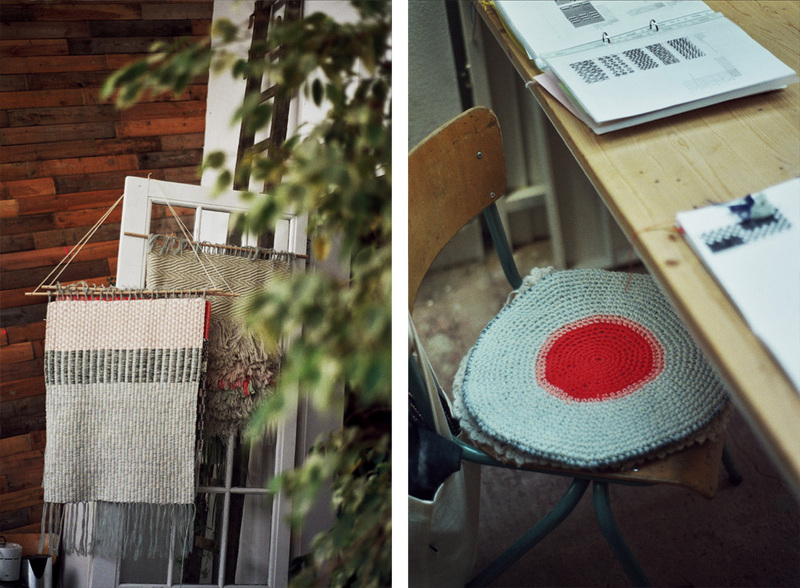 – The unknown designers behind the Boucherouite Berber rugs. What I find appealing about these rugs is the fact that they are made by people who just use their imagination. 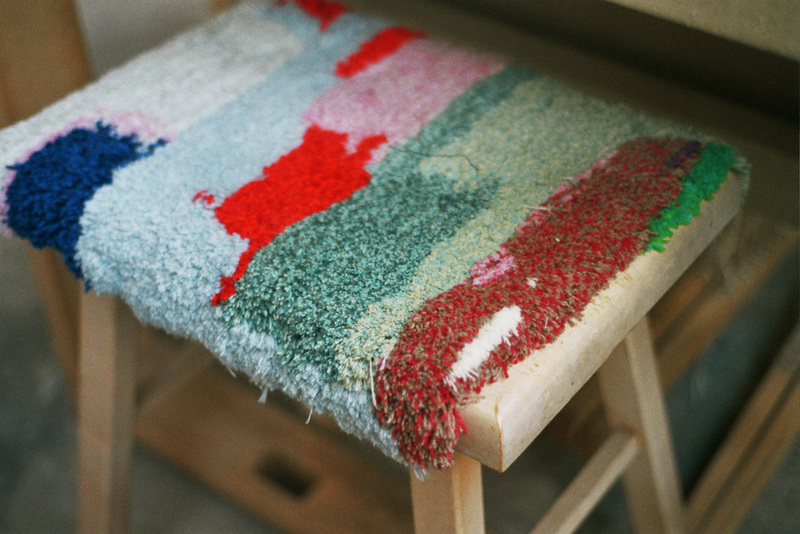 The design isn’t prepared – they make the rugs by using their intuition and personality. And it’s just this intuition what makes these rugs magical. Every rug is unique and has its own story. It’s a pity that a lot of big brands are copying the original Boucherouite rugs. We visited Antwerp last year and created this City Guide. What other places would you add to our list? 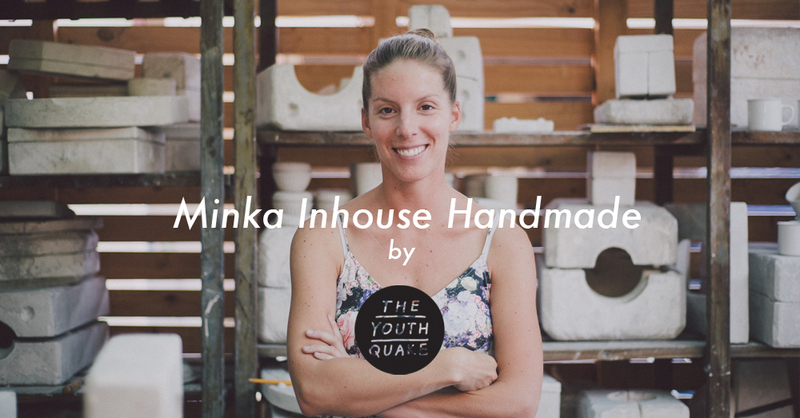 – Helder, a lovely design shop. – B L T (Breakfast Lunch Tapas), a great place for lunch. – Copper, perfect for a quick lunch, or a coffee, run by a lovely lady. – The tunnel under ‘De schelde’. It’s a tunnel to cross the river, and to go from the right side of the city to the left side. – Eating a Moroccan pancake at the Saturday market (theaterplein). – Atelier Solarshop, great store to find handmade, vintage and design treasures.